Today I gave a new recipe a go. 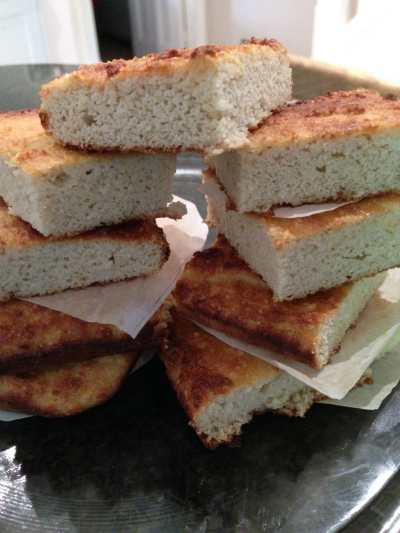 Another great recipe from @comfybelly for no-corn cornbread using ground almonds and coconut flour. 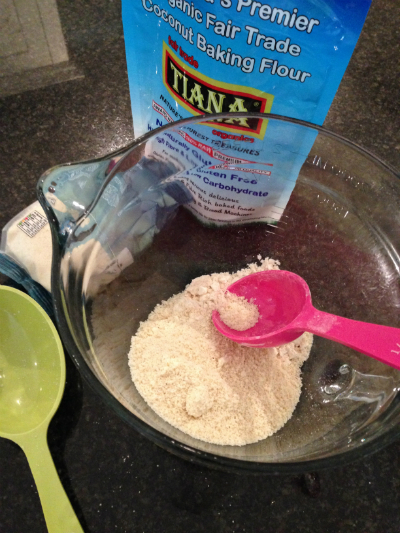 Put the ground almonds, coconut flour, bicarbonate of soda and salt in a bowl. To the mixture you can add chill powder or chives or grated cheese. I kept mine plain. 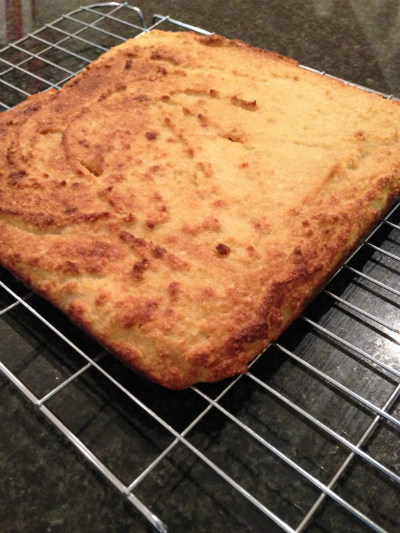 The result is a soft delicious bread, scrummy with butter on the top. Will definitely make this again. 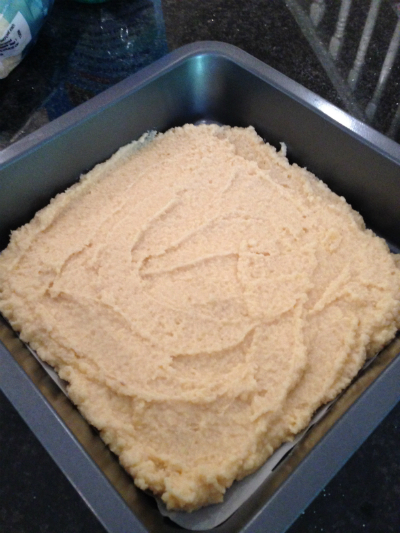 The batter didn’t rise very much but still looks great cut into squares.